“Elvis Today: The King lives on—but he’s not who you always thought he was.” That was the title of an article by Will Friedwald that appeared in the February/March issue of American Heritage magazine. The essay deserves serious consideration, not only because it appeared in a prestigious publication, but also because it assesses Elvis’s musical legacy from an unusual point of view. Most Elvis fans today fit into one of two categories. 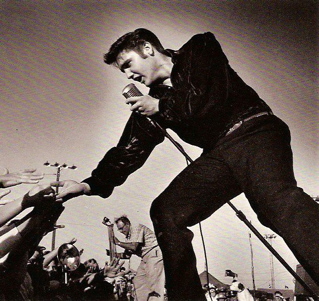 The first includes those who became Presley fans early in their lives, while Elvis was still alive. I’m a member of that group. We followed his career, mourned his death, and have remained loyal to his memory through the decades. The other group includes younger fans, most of whom were toddlers or not even born when Elvis died. The majority of these Elvis fans seem to have inherited their love of Elvis from their parents. Will Friedwald falls into neither category. In fact, I would categorize him as an Elvis “appreciator” rather than as an Elvis “fan.” A note at the end of his article identifies him as “the jazz reviewer for the New York Sun and the author of seven books on music and popular culture.” So, he certainly has the credentials to comment on Elvis’s musical legacy. That sounds like Friedwald suddenly became a devout Elvis fan, but the fact is that he was a music historian who appreciated many kinds of music. And so his perspective was different from most newcomers to Presley’s music. For example, he rejects the commonly held notion that Elvis represented the beginning of a music trend. (“Before Elvis, there was nothing,” John Lennon had said.) “It’s plain that both rhythm and blues (and black artists in general) and country and western had been making significant inroads into the pop mainstream long before the Presley explosion of 1956,” Friedwald reminds us. 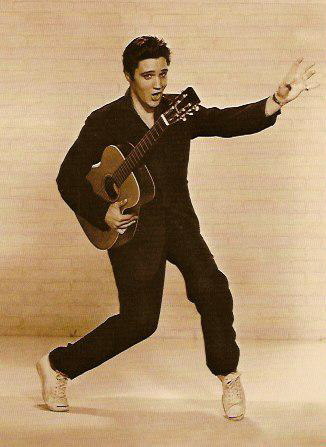 In fact, back in 1956 Elvis himself often explained that he had not created rock ’n’ roll, and that his kind of music had been around for a long time. Still, we Elvis fans like to feel that somehow the whole thing started with our guy. As for Elvis being the first white pop singer who sounded like a black man, Friedwald contends that other singers (he gives Frankie Lane and Johnny Ray as examples) had already achieved success by patterning themselves after black rhythm and blues singers. The notion that Elvis had anything in common back then with the likes of Patti Page and Guy Mitchell is heresy to most Elvis fans (me included). In fact, Friedwald seemingly spends the first half of his article debunking all claims of Presley’s originality in the 1950s. Reading on, however, the author’s apparent objective was only to clear up some historical misconceptions before discussing Elvis’s true contributions to popular music in the second half of his article. The writer’s sense was that when Elvis emerged from the Army he was tired of rehashing his old rock ’n’ roll hits and began broadening his horizons. “He continued to grow as an artist after 1960, and to my ears his post-Army work continued to get better and better.” Friedwald points to Elvis’s branching out into adaptations of Italian tunes (“It’s Now or Never”), Hawiian music (“Blue Hawaii”) samba and bossa nova (“Viva Las Vegas”) and gospel music. The latter represented Presley’s “greatest work,” judged the writer. Friedwald ends his article with a twist on the nature of Elvis’s musical legacy. It challenges the long-held belief that Presley’s most influential work was done in the fifties. Still, it’s a conclusion that most Elvis fans can agree with. "Presley’s innovation wasn’t that he sounded either black or like a hillbilly; it was the brilliant way he drew on all three strains of pop music: blues, country, and traditional ‘classic’ pop."